Creed II – This Fight Is Personal! What Do You Want in a Makerspace? To hear that Ciara released a new music video is extremely exciting for me, I have been a fan of her dancing and music since the year 2004 when she released her debut hit song “Goodies.” Over the course of the next few years, she really made a name for herself in the music industry, releasing a string of hit singles and albums. Ciara has been pretty good about consistently dropping albums since her debut, her latest and soon to be released is titled Beauty Marks. “Thinkin Bout You” is one of the singles off of Beauty Marks and the music video for the song was released on Friday, March 29th. Ciara starts out singing “I’ve been thinking about you...” acapella in a bathtub. This added an element of innocence and fun. The premise of the song seems to be Ciara getting ready for a big date, which everyone can relate to at some point in their life. There is a telephone cameo from Issa Rae where she is prepping Ciara for her big date. The beat has a groove reminiscent to early 90’s pop songs similar to the likes of Whitney Houston and Cyndi Lauper. Ciara really plays the role of one getting ready for a date well. From getting her hair ready, singing in her pj’s around the house, playfully trying on different outfits, and having fun with the housekeeper; everything just works. Parents of young children are advised, Ciara shows off a lot of skin in this video. The cliffhanger ending, Ciara is all dressed for her date when the doorbell rings and the video fades to black. This is a smart choice by the director because it leaves the viewer wondering who the mystery date is. 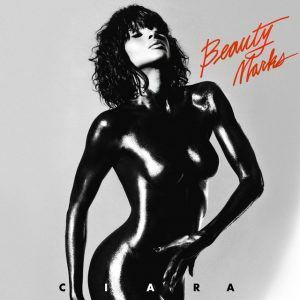 It’s my hope that Ciara’s new album Beauty Marks will add more memorable songs to her terrific catalog of music. Ciara dropped another music video this past July for her song “Level Up”opens a new window which is also found on Beauty Marks. I am especially excited to learn about the production details for the album. Who will be featured, who are the music producers, who wrote the songs, and who did the mixing and mastering. Lookout for Ciara’s Beauty Marks album. It's coming soon! What are some of your favorite Ciara songs? Let us know below!